We asked three chefs for the essential oysters that everyone should know. It’s a great cheat sheet to keep on hand for the next time you’re surrounded by oysters at a party—or simply ordering off a menu. This past weekend, chefs and oyster farmers came together to put on a massive Oyster Bash during the New York City Wine & Food Festival. 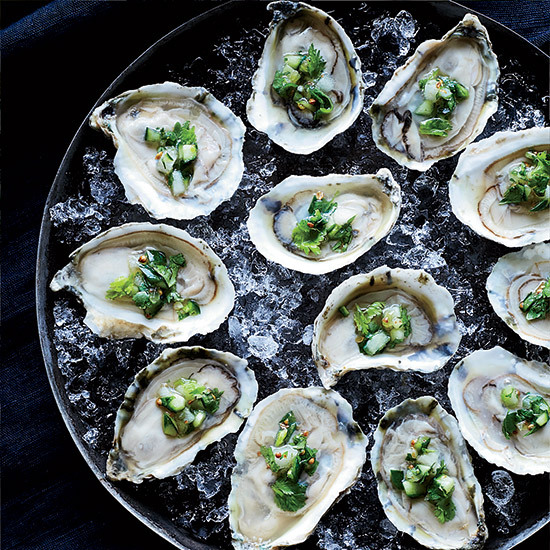 With different oyster types everywhere, we barely knew where to start. So, we asked three chefs for the essential oysters that everyone should know. It’s a great cheat sheet to keep on hand for the next time you’re surrounded by oysters at a party—or simply ordering off a menu.